Help the Community hunt 10,000 Rare Divio. In celebration of Spring, we are here to bring you a new challenge. In the spirit of the season, we are hunting the BIG GREEN MEANIES, 😈 that’s right folks we are hunt down Rare Divio! Once the community has destroyed 10,000 Rare Divio, Mixtape's Quickfire will be unlocked for those Heroes who have participated through April 30th. THERE ARE SO MANY DIVIO CLONES, HELP! One thing to keep in mind for this challenge, when initial engaging in combat with the Rare Divio is their clones will start to stack up quickly. If left unchecked they will outnumber you and end your adventure before it really begins. Try to target the Rare Divio himself instead of working through the clones to get to the big guy. 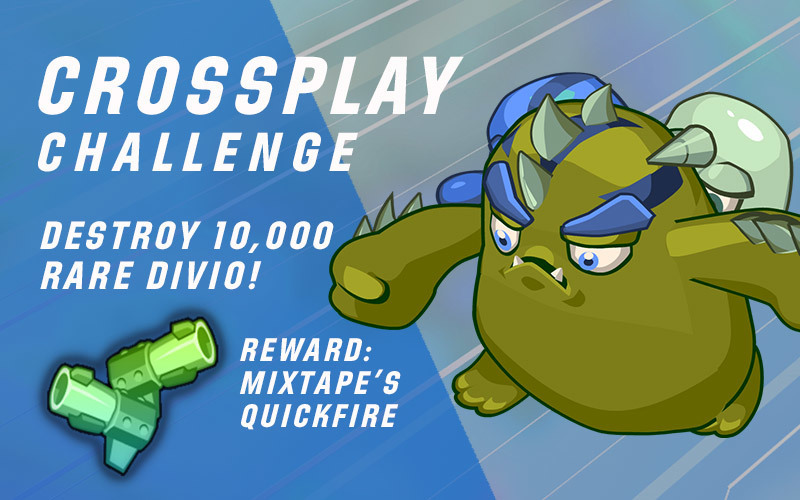 If the challenge is completed by April 30th, the full CrossPlay community will be awarded Mixtape’s QuickFire. The timer is ticking so let’s get out there and get to work! Have you claimed your $5 Lunar Sale bonus yet? During the Steam Lunar Sale, you're given a complimentary $5 bonus coupon to use. If you're looking for a selection of our favorite horror titles on Steam, you'll want to use your $5 bonus on our custom bundle, the Lunar Horror Bundle. 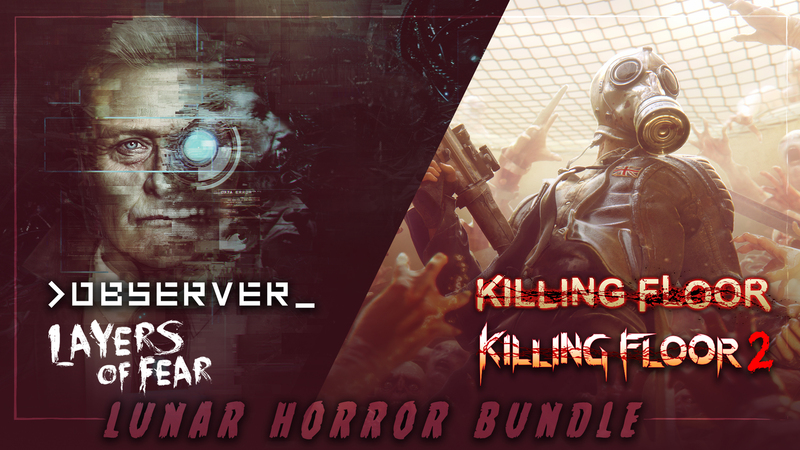 Add Killing Floor, Killing Floor 2, Layers of Fear, and >observer_ to your cart on Steam. On your cart page, you'll see a $5 bonus applied to your cart. Start installing these games, turn the lights off, and turn the volume up! Special Reinforcements from Valve Games! Next Up Hero is so hard, we called in backup from our favorite Valve Games! Maxed all heroes? Tell us what you want next on http://discord.gg/NextUpHero! Fancy yourself a game designer? Let’s see what you got. Craft a savage dungeon, and challenge the community to beat it. If they beat the dungeon, they get to keep a rare piece of loot. If they fail, the treasure is yours. Death is so permanent in Next Up Hero that your “echo” remains for the next player to raise. People die a lot in Next Up Hero, so you can resurrect up to 20 AI followers! It’s Hero vs. Dirge powered by Mixer Interactive. Spectators can control the echo army, helping the hero survive the flood, or buff the Dirge enemies, slowing and freezing the player.